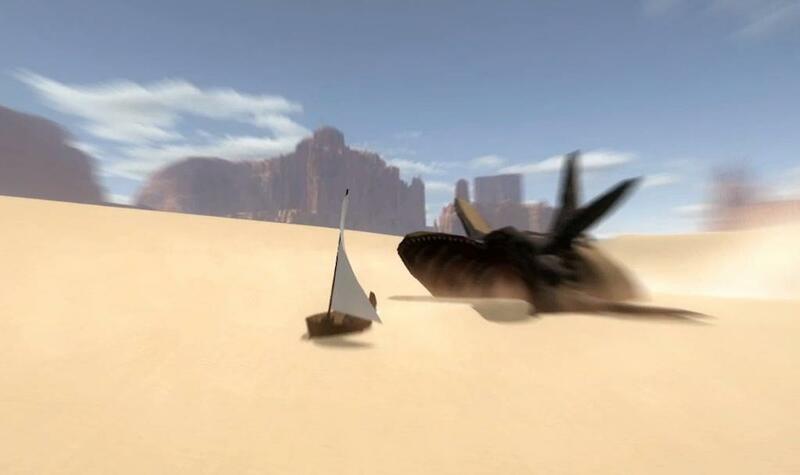 When a massive sand whale finds her village, a lone adventurer must grab her sand skimmer and follow the journal of a dead man to find the lost oasis hidden in the desert. Neither the whale that killed her village nor the sand itself will make the journey easy. Will she unlock the desert’s secrets or become another one of its buried treasures? This game is intended to be played using an Xbox 360 Controller, although keyboard controls can be toggled on if it is truly impossible to do so. The standard Microsoft controller drivers will work on Windows, and a freely available Mac driver for 360 controllers is included with the game’s OSX installer. If the game is not being performant, graphics quality can be adjusted down in the “settings” section of the main menu.